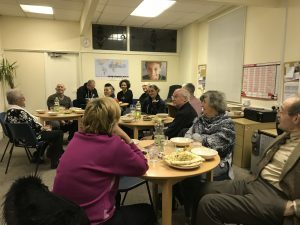 On the second and fourth Wednesdays of every month, the church meets together to study a particular topic in detail for the evening. These evenings can take the form of seminars, discussions, site visits, video evenings or grill-the-preacher nights! Topics covered recently include the 10 commandments, Islam, and the book of Revelation. We are currently working through a series on archaeological evidence which underpins the Bible. The evenings are open to all so why not come along to the next one? 7.30pm on the second and fourth Wednesdays of the month.